The leading textbook for undergraduate exercise physiology courses, Physiology ofSport and Exercise, Fifth Edition With Web Study Guide, has been fully updated in both content and design. The authors, all distinguished researchers and past presidents of the American College of Sports Medicine, combine their expertise to deliver superior technical content while maintaining the accessible, reader-friendly format that has made this textbook a favorite of instructors and students alike. The fifth edition has been redesigned to enhance its visual appeal and provide students with an improved learning experience. Completely revamped photos, illustrations, and medical artwork offer a higher level of detail and clarity to better illustrate how the body performs and responds to physical activity. The text has been carefully designed to reinforce the impact of the new artwork, thereby facilitating students’ comprehension of the topics covered. 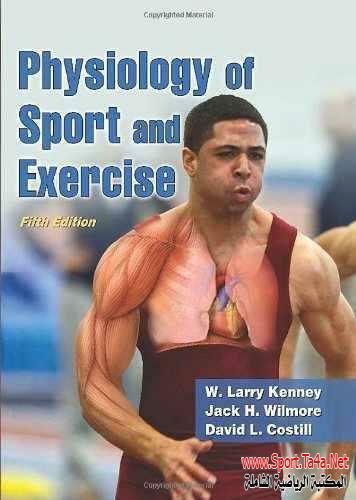 In addition to the improved artwork, Physiology of Sport and Exercise, Fifth Edition, features new and updated content based on the latest research in the field, including the following: • A complete rewrite of the chapters on resistance training, including updated strength training principles based on the 2009 ACSM position stand and new sections on core strength, stability training, and high-intensity interval training (HIT) • A full update and reorganization, based on instructors’ feedback, of the chapters on metabolism and hormonal control to aid students’ comprehension of these complex systems • New content on lactic acid as a fuel source, muscle cramps, childhood obesity, substrate utilization and endocrine response to exercise, and vascular aging • Updated coverage of central and peripheral cardiac functions, the female athlete triad, and the menstrual cycle • New research on effects of physical activity on health, including the addition of international data on the incidence of cardiovascular disease and obesity Ease of reading and understanding has been the cornerstone of this popular text. The fifth edition of Physiology of Sport and Exercise continues to offer comprehensive coverage of the complex relationship between human physiology and exercise while maintaining an engaging and student-friendly tone. Unique learning features allow students to build their knowledge as they discover the depth and breadth of this fascinating field of study. The book’s accessible layout, including chapter-opening outlines and review boxes found throughout each chapter, will help students focus on the major concepts addressed. Study questions and a list of key terms at the end of the chapter increase students’ opportunities for recall and self-testing. A comprehensive glossary and lists of common abbreviations and conversions provide easy reference for students as they complete labs and assignments. To facilitate a more integrated learning experience, both students and instructors can take advantage of the web-based ancillaries that accompany the fifth edition of Physiology of Sport and Exercise. The web study guide offers new learning activities that complement each chapter in the book, and study guide reminders prompt students when to access the study guide to practice, review, and develop their understanding of chapter concepts. Students can also use the guide’s dynamic and interactive learning activities to expand learning beyond a typical lab situation. Key concepts are reinforced as students conduct self-made experiments and record their own physiological responses to exercise. In addition, the study guide offers access links to scientific and professional journals as well as organization and career information. One convenient web address gives instructors access to an updated instructor guide, presentation package, image bank, and test package. The presentation package includes PowerPoint slides with key points and content, which can be modified to suit a variety of class structures. The image bank features all of the graphics, artwork, and content photos from the text for easy insertion into tests, quizzes, handouts, and other course materials. Both the test package and instructor guide include resources and teaching aids designed to decrease lecture and test preparation time and increase pedagogical effectiveness. New to the fifth-edition ancillaries is a pool of questions pulled from the student’s web study guide. These questions can be uploaded to instructors’ LMS systems and used to gauge students’ participation in class. Physiology of Sport and Exercise, Fifth Edition, stands alone as the best, most comprehensive resource framing the latest research findings in a reader-friendly format. This winning combination makes it easier—and more engaging—than ever for students to develop their understanding of the body’s marvelous abilities to perform various types and intensities of exercise and sport, to adapt to stressful situations, and to improve its physiological capacities.